Apple’s patent collection is a little larger today after the company was awarded a patent for its EasyPay solution, which allows customers to scan and buy items from physical stores via the Internet connection on their device. Techniques for improved interaction between online retailers and traditional brick-and-mortar retailers that provide patron-accessible networks are disclosed. The location and/or the fact that any given purchase was made from a particular retailer’s patron-accessible network can be tracked for a variety of purposes. The invention can facilitate partnering between online retailers (i.e. online stores) and traditional ‘brick-and-mortar’ business establishments. As an example, the invention can be used to track and give credit for online purchases at an online retailer that are facilitated by a brick-and-mortar retailer. The background notes explain that the technology is designed to bridge the gap between Web and physical retail. It further explains that the growth (or indeed near-standardization) of both in-store WiFi and the ownership of connected devices, is the ideal background for the payment solution – which makes things easy for customers and staff. That all makes sense, and the technology has been well received over the last year. Apple has made other changes to its retail stores, such as a double-row Genius Bar to ramp up technical expertise for customers. The international expansion of EasyPay began with Australia in August, while Canadian shoppers got the feature earlier this month. 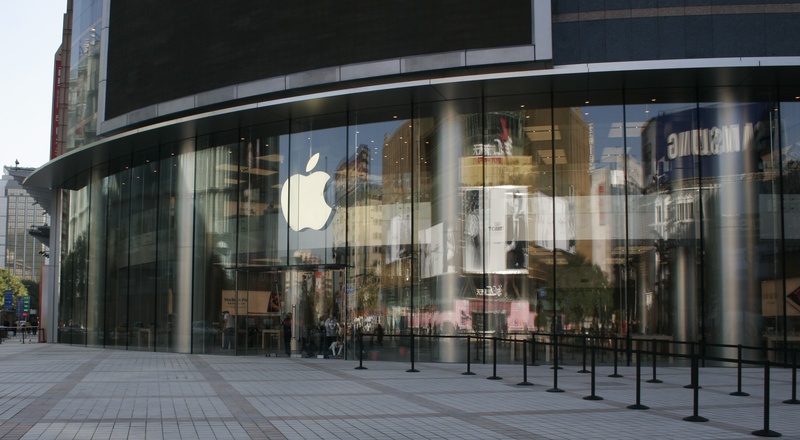 Apple has said it is aiming to bring the solution to China, so we can likely expect the country to be next on the list.